Successfully Added GPS Pet Tracker - 4 Band GSM, GPRS Tracking, Geo-Fencing, 90 Days Route Checking to your Shopping Cart. The DAK GPS pet tracker has everything you need to make sure your best friend can have the freedom to roam and will never be lost again. Utilizing a GPS (Global Positioning Chip) this pet tracker will update its position and that of your pet via the cellular phone network and can send location alerts direct to your phone. The alerts are sent over the GSM 800/900/1800/1900 frequencies which bring almost global coverage and with 90 days route checking you can track where your dog or cat has been. This pet GPS tracker is light and compact so it's suitable for pets small and large. It weighs just 36 grams so won't restrict or hinder your pets freedom. It also comes with an adjustable collar that's suitable for most furry friends. A tough outer case guarantees it can go wherever your pet goes. There is no expensive app subscriptions or software signup required and using this GPS pet tracker couldn't be easier. Simply call or send a message to the GSM SIM card that you enter into this tracker and you will get a detailed message with a link showing the map view of their current location. By enabling the GPRS function you can even track the live location of your pet and assign update times to monitor their movements in real time. 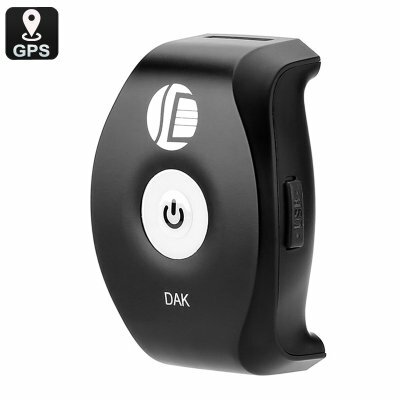 The DAK GPS pet tracker comes with 12 months warranty, brought to you by the leader in electronic devices as well as wholesale GPS Trackers and gadgets..